Watch out Ranch Rush and Risk II -- there’s a few new games available on the Amazon “Game Downloads” channel. 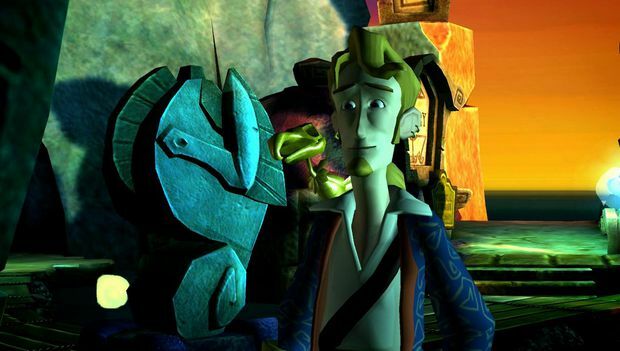 Telltale Games recently announced that all five chapters of the Tales of Monkey Island series are coming to Amazon’s digital download service. The first two chapters -- “Launch of the Screaming Narwhal" and “The Siege of Spinner Cay" -- can be purchased right now, separately, for the first time since the series was announced. Both chapters are priced at $8.95, which is a decent chunk of change for the first title if you’ve been wondering what you’ve been missing. (Spoiler alert: it’s a decent series thus far.) As for purchasing all of the chapters at that price, well, it would be smarter to buy the bundle ($34.99) Telltale is offering. In the official release, Telltale mentions that the series is its “most successful digital episodic series launch to date.” Good to know that Monkey Island still sells. Keep ‘em coming LucasArts and Telltale.